Jean Paul Sartre said, 'Hell is other people'. But, as Satan will tell you, Hell is actually a fiery, unendingly cruel domain where Oliver Reed can never quite catch the barman's eye and Yves St Laurent is forced to wear a donkey jacket. But Hell is about to become more hellish for Satan himself (Andy Hamilton). Not only is the historian Edith Barrington (Annette Crosbie) taking for ever to write his biography, An Angel Misunderstood, but everything is thrown into confusion when a dog turns up. It's not easy being Satan. There are the long hours (that stretch into eternity), and Hell seems to have more admissions than it can cope with. One of the new arrivals is Edith, a historian, athlete, and humanitarian. And she's trouble: she refuses to believe she's dead, she knows Thomas, and she's not afraid of Satan. But will the Grand Tour, which includes the Pit of Musicians, the Lake of Fire, and the Pit of Health and Safety Inspectors, finally make her realise where she's ended up? 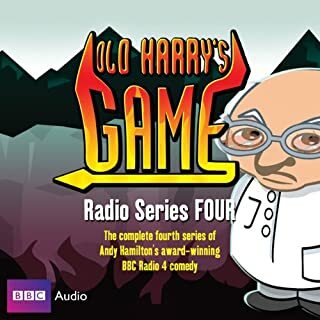 Andy Hamilton's complete 4th Series of this comedy winner from Radio 4. Satan's got the health inspector in and it seems that the lighting in hell isn't up to scratch but that's the least of his worries, with bad Feng-Shui, no sleep and some atrocious poetry not even Helen of Troy can perk up his day. Another hex-allent series from one of the writers of Revolting People and Trevor's World of Sport. Poor Satan has to undergo yet more trials and tribulations in this fifth series of the Sony Award-winning comedy. What with missing the Professor, a case of Seasonal Affective Disorder, and, above all, the disastrous overcrowding in Hell, he hasn't felt this depressed since Bill Clinton survived his heart operation. 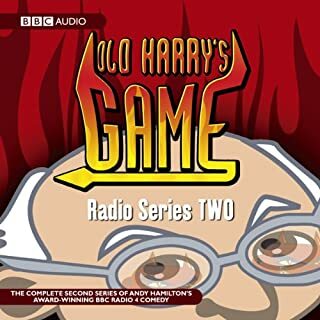 The complete Series Two of Andy Hamilton's award-winning BBC Radio 4 comedy set in Hell. Then Satan has to deal with a rebellion and with human depravity on the increase, Hell's getting over-crowded. It's time for a new assistant. But will Scumspawn (Robert Duncan) get the job? Andy Hamilton stars as Satan in the comedy that's satirical, philosophical, inventive, topical - and timeless. 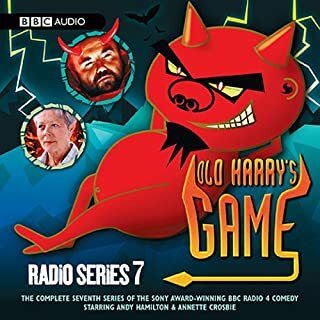 The complete Series One of Andy Hamilton's award-winning BBC Radio 4 comedy set in Hell. It's not easy being Satan. Thrown out of heaven, he is condemned for eternity to listen to Edith Piaf and Elvis Presley. Still, there are new arrivals to welcome: the Professor (James Grout), whose unerring optimism is a nasty blow and Thomas (Jimmy Mulville), one of the vilest people around. Andy Hamilton stars as Satan in the comedy that's satirical, philosophical, inventive, topical - and timeless. This is the second series of one-off comedies written by the genius behind the smash-hit radio sitcom Cabin Pressure - John Finnemore. The first series won the coveted Writers Guild of Great Britain award for Best Comedy. Each show is a comedy perfumed by just two actors - including (across the series) famous household names such as Martin Clunes ( Doc Martin), Julia McKenzie ( Fresh Fields) and the inimitable voice of Carolyn in Cabin Pressure, Stephanie Cole. Winner of the Writers Guild Award for Best Radio Comedy and the Comedy.co.uk awards for Best Radio Sketch Show! Celia Imrie, Alison Steadman, John Bird and Rebecca Front are among the cast of these BBC Radio 4 comedy dramas from the writer and producers of Cabin Pressure. These six self-contained duologues, each one brimming with humour and charm, come from the pen of John Finnemore, author and star of the award-winning John Finnemore's Souvenir Programme. A full-cast BBC Radio 4 dramatisation of Terry Pratchett & Neil Gaiman’s celebrated apocalyptic comic novel, with bonus length episodes and outtakes. According to the Nice and Accurate Prophecies of Agnes Nutter, Witch, the world will end on a Saturday. Next Saturday in fact. Just after Any Answers on Radio 4….Events have been set in motion to bring about the End of Days. The armies of Good and Evil are gathering and making their way towards the sleepy English village of Lower Tadfield. Stephen Fry and John Bird star in all four series of the BBC Radio 4 satirical comedy, plus the 2006 special episode. Set in the Machiavellian world of modern PR, Absolute Power introduces us to London-based 'government-media relations consultancy' Prentiss McCabe, whose partners Charles Prentiss and Martin McCabe are frequently embroiled in the machinations of the British political system. John Finnemore, writer and star of Cabin Pressure, returns in four episodes of his own sketches, as heard on BBC Radio. These episodes feature a tiger with a gun, reveal the truth behind the war effort, visit some documentary-makers, has a big debate and then treats itself to a little trophy. Plus, there are also some musical interludes from the zoo. John Finnemore's Souvenir Programme is written by and stars John Finnemore (The Now Show, Miranda, That Mitchell and Webb Look). Andy Hamilton and Jay Tarses' script for Revolting People, about the American War of Independence, winningly mixes the "boom boom" school of jokes, literary silliness (jeopardy means "like a jeopard"), and anachronisms that make deft political points. Six more episodes of BBC Radio 4's multi-award-winning sketch show, written by and starring John Finnemore. John Finnemore, writer and star of Cabin Pressure and John Finnemore's Double Acts, returns for a seventh series of his hugely acclaimed Souvenir Programme, which won him Radio Broadcaster of the Year at the 2016 Broadcasting Press Guild Awards. Expect sketches! Expect songs! They're what made up the previous series, so it seems a pretty safe bet that that's what will be in this series as well. Andy Hamilton's fiendishly funny BBC Radio 4 sitcom set in Hell returns for a two-part festive special. Satan embarks on an epic quest and encounters Queen Victoria, Harpo Marx, a highly intelligent bluebottle, Death, Davina McCall, and St Peter and his rottweilers. 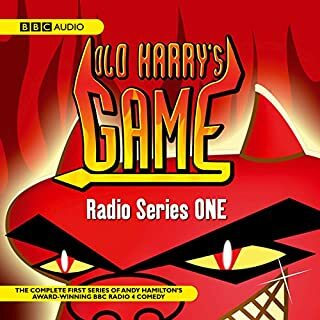 ©2018 BBC Audiobooks Ltd (P)2003 BBC Audiobooks Ltd.
Has an interesting storyline but not one of the better ones.